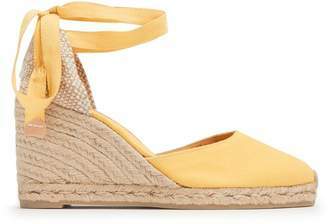 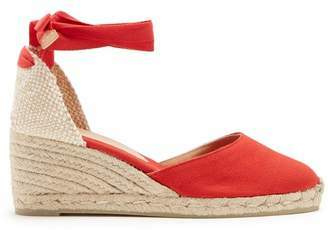 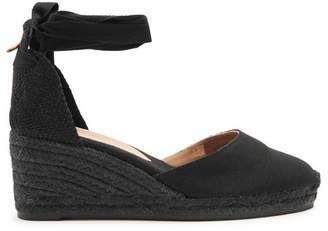 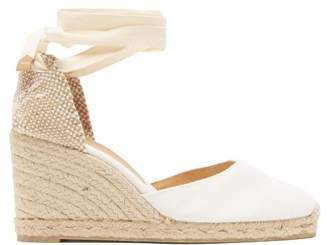 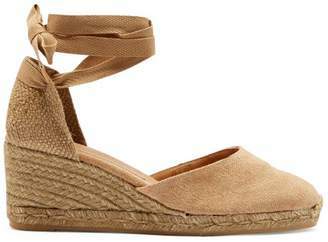 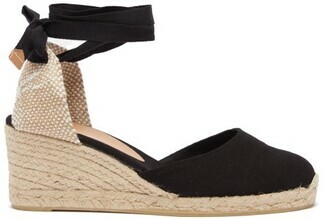 Castañer's classic 'Carina' espadrilles are a summer essential. 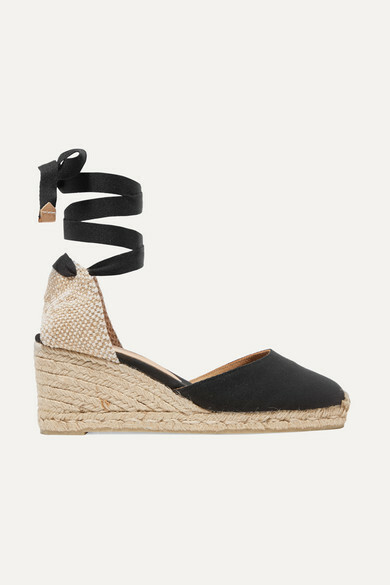 Crafted in Spain from durable canvas, this versatile black pair is designed with a jute heel panel woven with cream and natural yarns for a speckled effect. 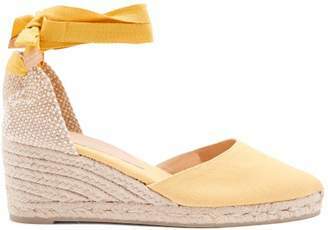 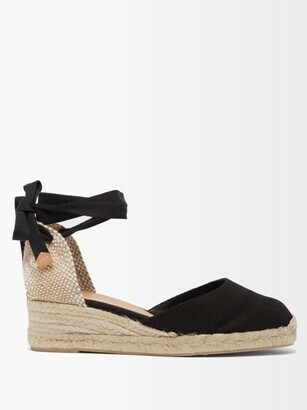 We especially like the ribbon ties that wrap elegantly around the ankle. 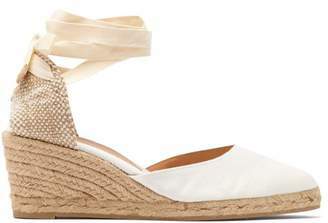 Wear yours with a white tee and denim skirt.